__Scholarships for global leaders of the 21st century. Great news! For the second year now, I’m excited to tell you about a scholarship program for young people to get a Master’s degree in Global Affairs from one of China’s top universities. If you’re selected, this could really be the chance of a lifetime! Not only will you expand your learning, but you’ll also share the experience of studying for a year in China with other young leaders from around the world. If you follow world news – as you should – you’ll know how important this opportunity is for you to take part in and shape trends of the 21st century. If you’re looking to be counted as a global leader, this is one excellent opportunity to prepare yourself! 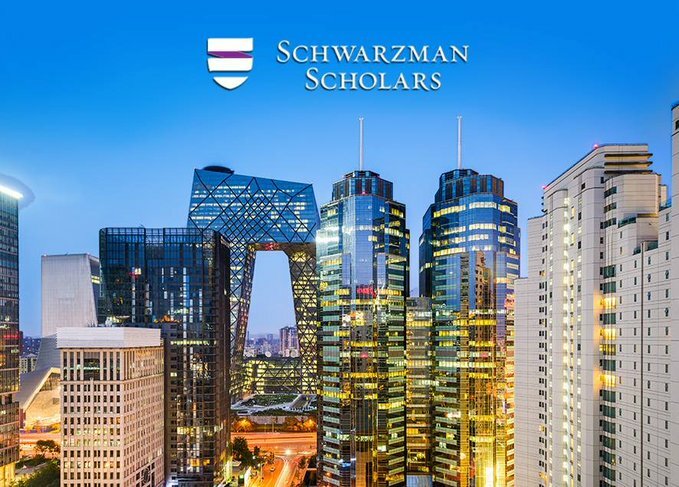 Last year I joined a group of international donors that support the Schwarzman Scholars program, which each year will select up to 200 talented young people to spend one year living, working and studying together at Schwarzman College at Tsinghua University. This $450m scholarship program was started last year by Stephen Schwarzman, the founder of Blackstone, one of the biggest financial organizations in the world. Courses will be taught in English and students will study under the tutorship of some of China's leading academics, top academics from other parts of the world, along with business and political leaders, all in a Chinese environment. 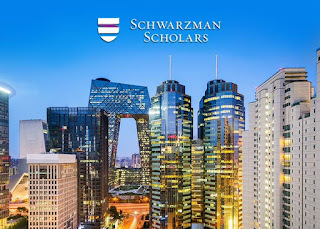 The Schwarzman Scholars curriculum was developed in collaboration with academic leaders from Tsinghua, Harvard, Yale, Princeton, Stanford, Oxford, Duke – all these are top universities in the world. Last year, 111 young people from around the world were the very first group to be offered Schwarzman Scholarships. The inaugural class included successful applicants from Cameroon, Ghana, Kenya, Tanzania, and Zimbabwe! The submission deadline is coming up soon, on 15 September, but there’s still plenty of time for you to apply if you’re eligible and interested in getting a Master’s degree in Global Affairs. This scholarship is fully funded and includes tuition, room and board, international airfare, an in-country study tour, books and supplies, a laptop and smart phone, health insurance and a modest personal stipend. To apply, you must have an undergraduate degree (can be in any field) and be between the ages of 18 and not yet reached 29 years of age by August 2017. Do you have demonstrated experience in leadership roles on campus, in your communities, your workplace or in other organizations? Do you have a demonstrated interest in expanding your educational horizons? Can you articulate a clear vision of how and why a year as a Schwarzman Scholar in China will help advance your personal goals (and beyond)? If this is not for you, perhaps you know of other brilliant young people with leadership experience and potential who you think should apply? Please share this information with them as soon as possible, as the application deadline is 15 September. I really hope the African continent will be well represented in the next class of Schwarzman Scholars. If I was the age of many of you reading this post, I would apply for this opportunity right away!